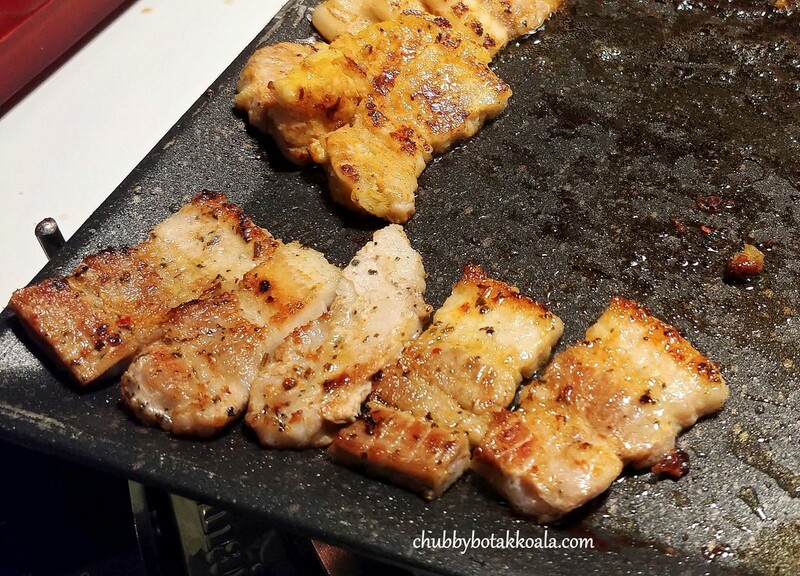 Palsaik Samgyupsal Korean BBQ in Johor Bahru is a Pork Belly centric Korean BBQ restaurant. 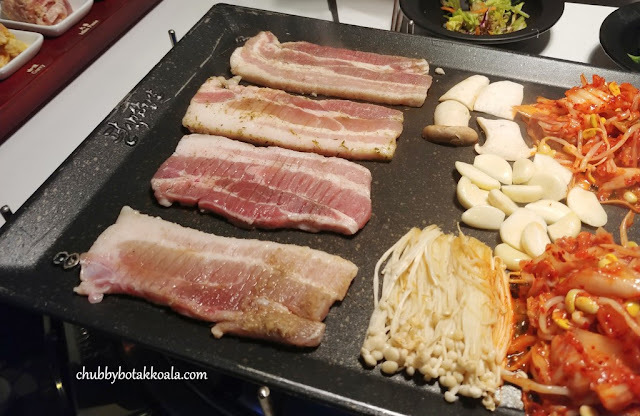 Palsaik means eight colour and samgyupsal means pork belly. So, it means eight colour pork bellies. For those from Singapore, this is the same concept as Eight Korean BBQ in Singapore. 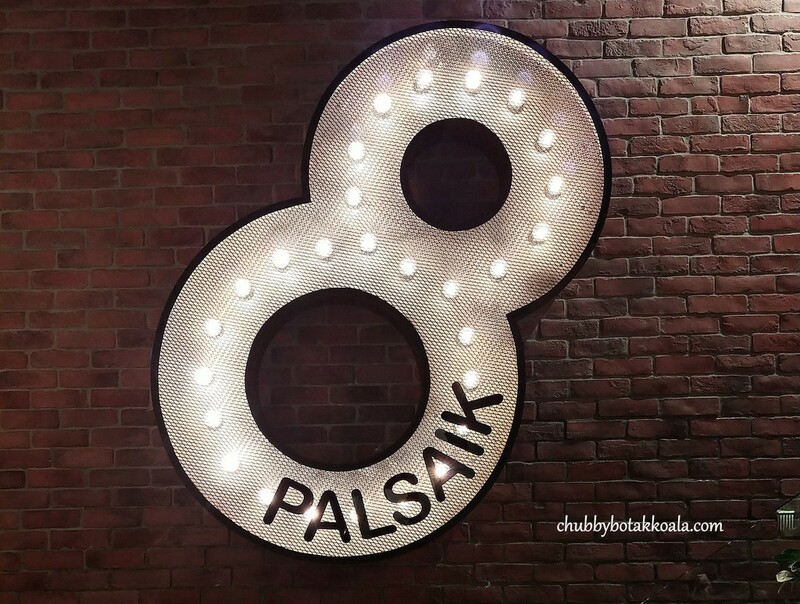 The first Palsaik open its door in South Korea in 2007. 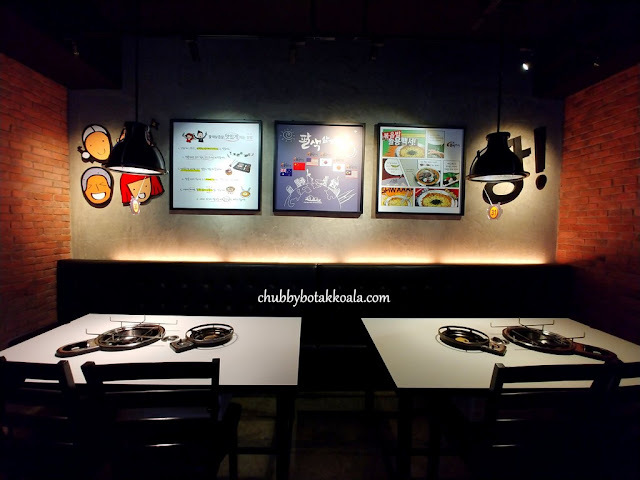 It started to open other branches in South Korea and begin its overseas franchise expansion in 2011 in Los Angeles, California. 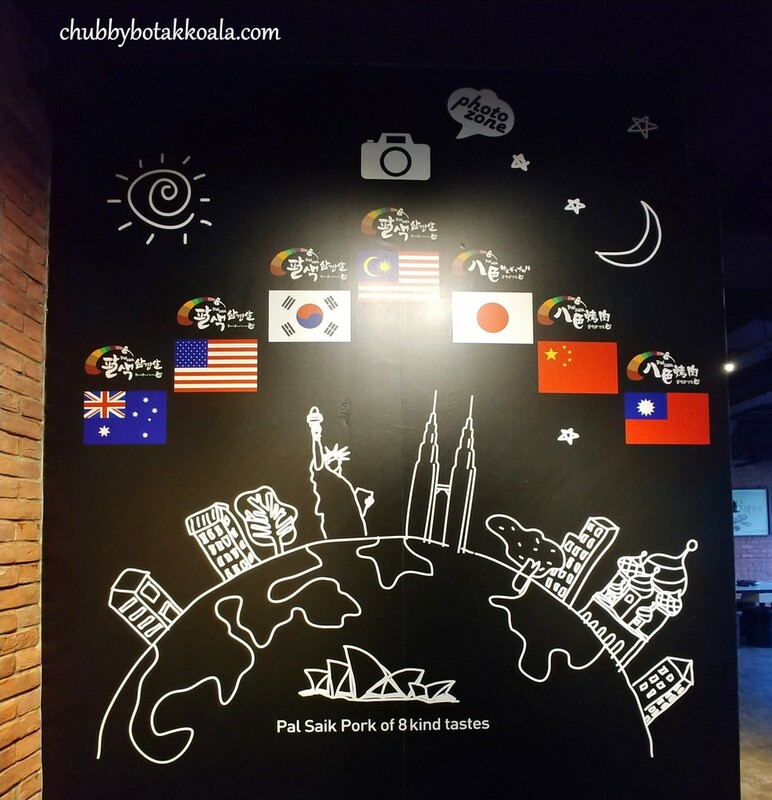 In 2012, Palsaik opens its first branch in Melbourne, Australia followed with Mount Kiara and Scott Garden, Malaysia in 2014. The JB branch is open in April 2015. A quick search on Uncle Google for the best Korean BBQ in Johor Bahru, Palsaik pop up as one of the highest rating, so we decided to give it a try when we were in JB. We ordered Palsaik Hansang, Executive 8 Colour Set (RM128). This consist of 8 flavours / marinate of Pork Belly (Ginseng, Wine, Pine Leaves, Garlic, Herb, Curry, Miso Paste, Hot Pepper); Vegetables, Salad, Ssamjang (Special house sauce and cucumber) and Soup. 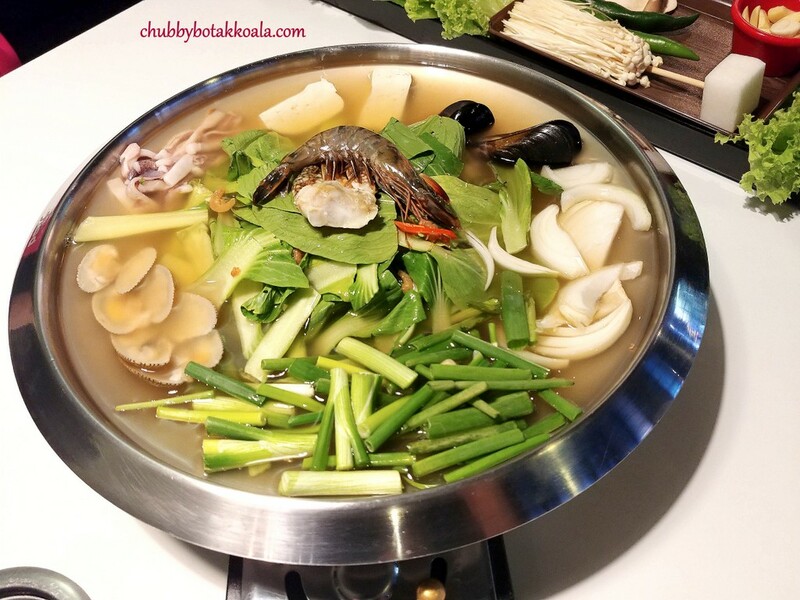 For the soup, we choose Seafood Soybean paste soup, instead of Clear Clam Soup and Kimchi Soup. 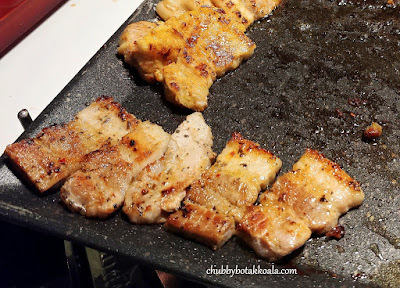 Once the order is placed the service staff brought out a long wooden plank with the 8 type of pork belly on it. 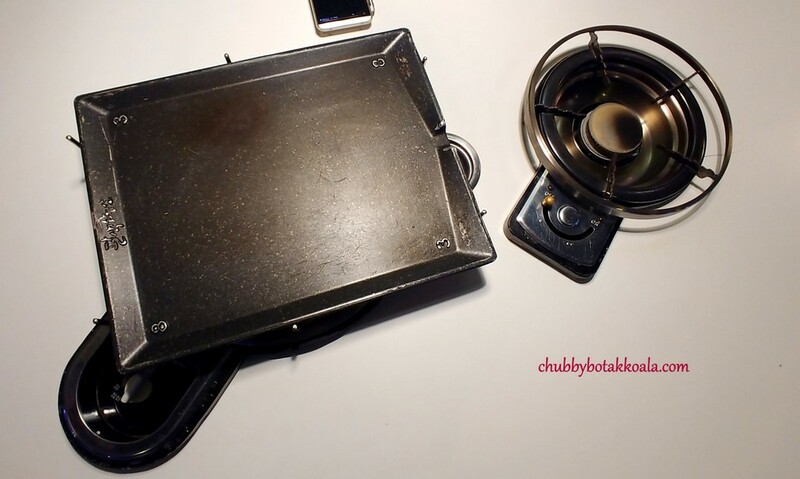 The BBQ chef will then come to your table and start cooking your food. 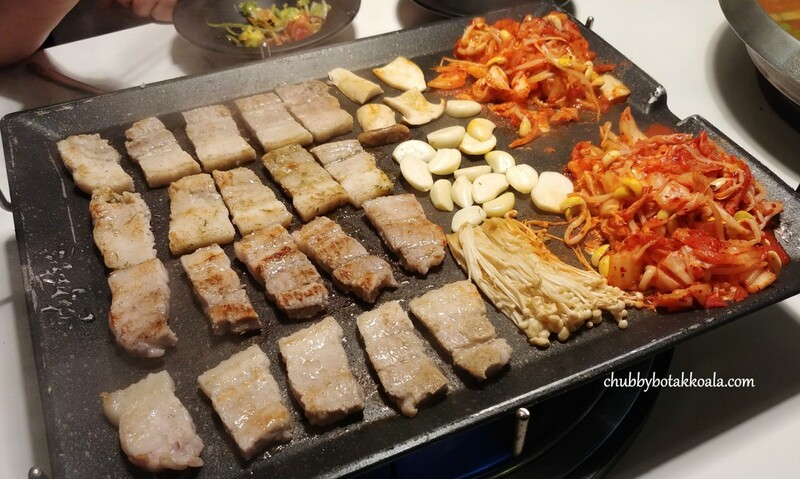 First to the grill is the kimchi (mixed between cabbage and beansprout), followed with the mushrooms and pork bellies. The first four flavours that went in are ginseng, wine, pine leaves and garlic. Once cooked, the pork bellies have a slightly charred exterior. 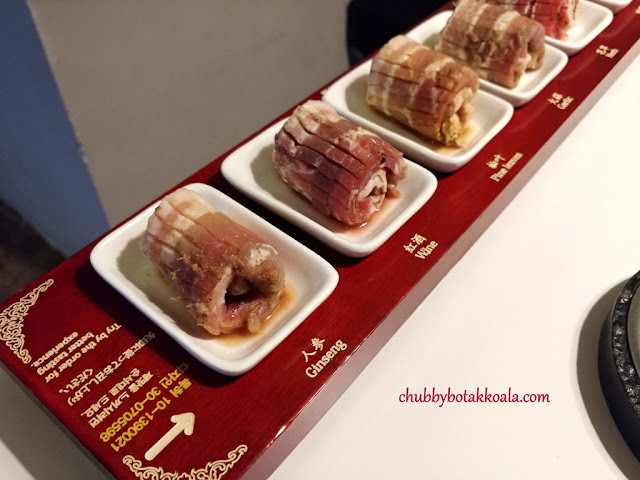 When you bite on it, it has the right balance between the fats and meat, that will open up your appetite. Although it is yummy, it is missing the melt in your mouth feeling. When I asked the service staff about the origin of the pork belly, they told us that they use Malaysian pork. 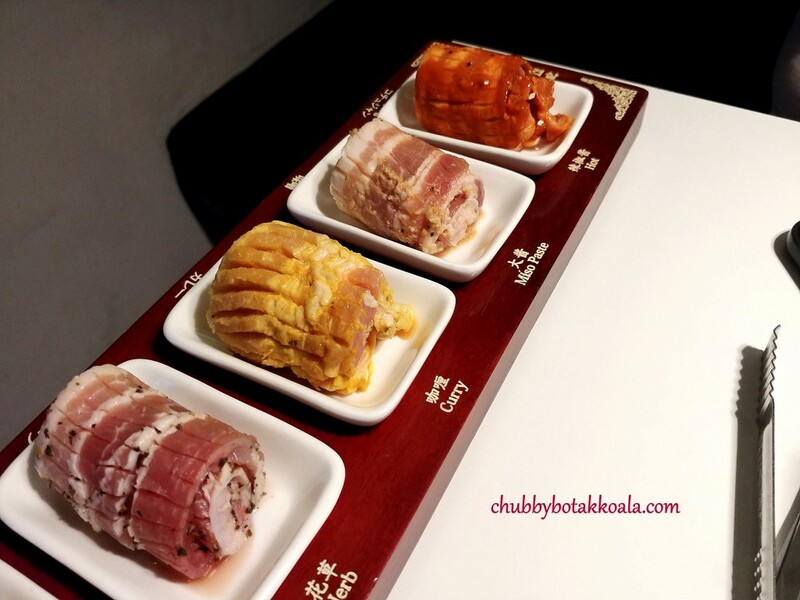 But for Malaysian pork, we can say that the standard are still good. For the ginseng marinate, the flavour of the ginseng is very subtle. The wine marinate is bolder, as you can smell the aromatic wine flavour before you bite the meat and it absorb thoroughly in the flesh. For the pine leaves marination, it has a slightly bitter taste to balance the fats, while the garlic actually tastes sweet, not pungent. The second wave of pork belly cooked are herb, curry, miso paste and hot pepper. The herb marinate is very flavourful filled with mixed dried seasoning. The curry marinate taste like German sausage curry, which is dreadful. The miso pork belly is good, but it can do with more generous miso seasoning and finally, the hot pepper pork belly, tasted like marinated in sweet chilli sauce. 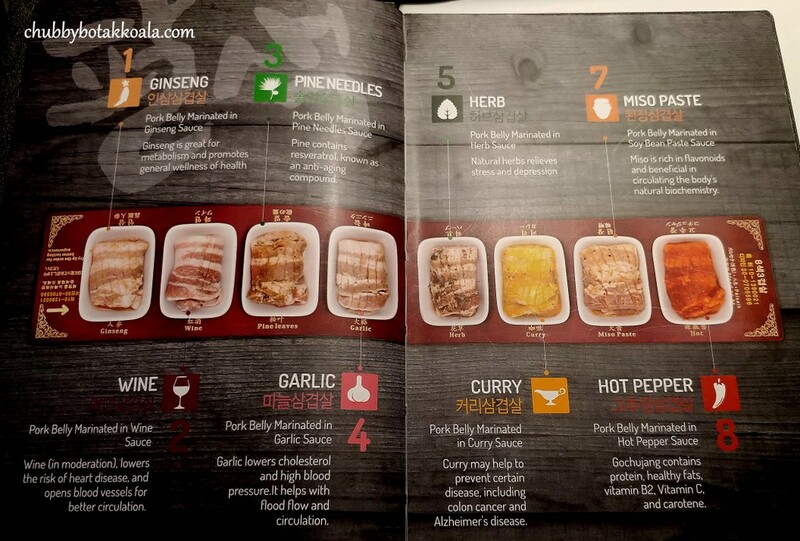 Our choice of the eight types of marinates are wine, miso, pine leaves and garlic. Kudos to the staff who did the BBQ, our pork belly are awesome and done perfectly. For the seafood soybean paste soup, it was rather bland and disappointing. 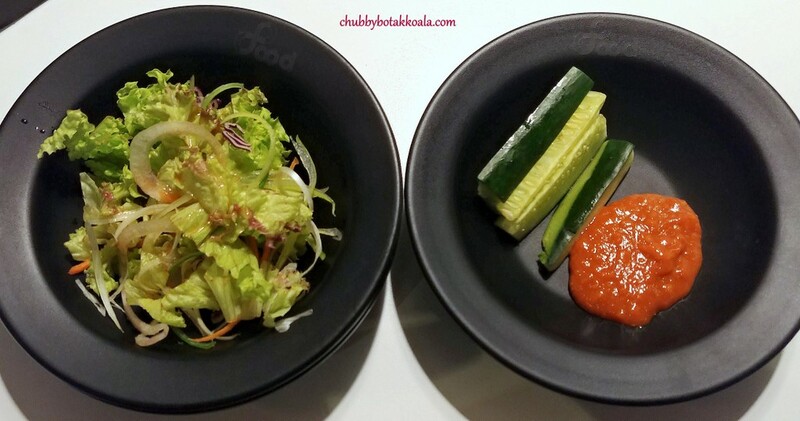 The vegetables are overcooked and almost tasteless. 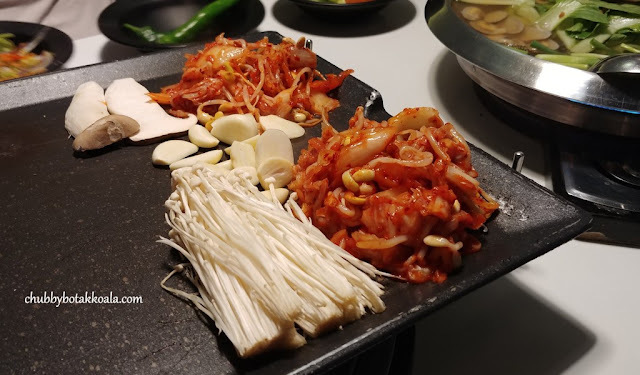 We suggest that once it is cooked, give it a good stir, have a taste and ask them to add the soybean paste if you find it under seasoned. 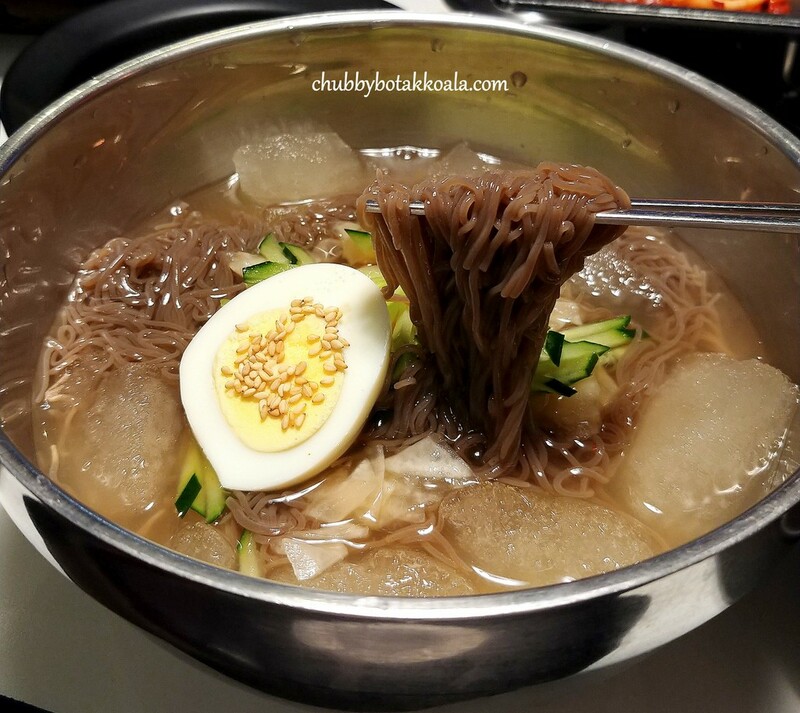 We had also ordered Mul Naengmyeon (RM18) – Buckwheat Noodles in Chilled Broth. It actually taste better than expected. The clear broth is robust and with a good touch of vinegar. 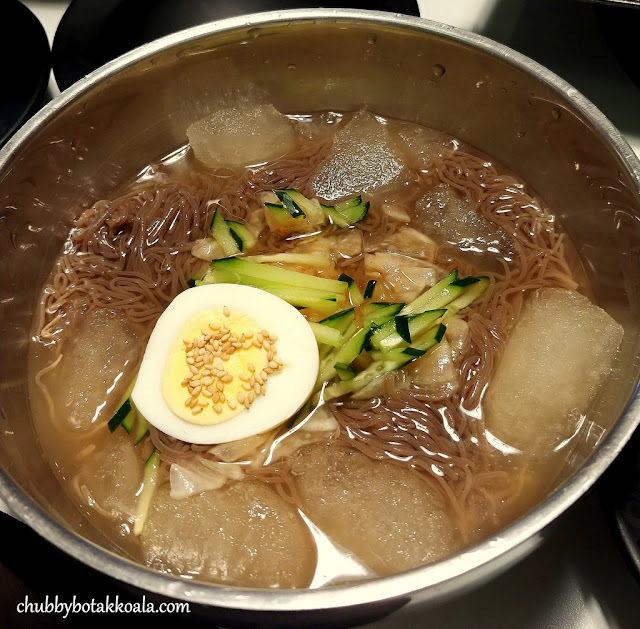 The noodle is springy and the iced chilled broth make this dish so refreshing. A must order dish here. The restaurant is spacious, complement with a mix of brick and black wall decoration. The vibe of this restaurant is fun and friendly, and this is also reflected in the attitude of their service staff. 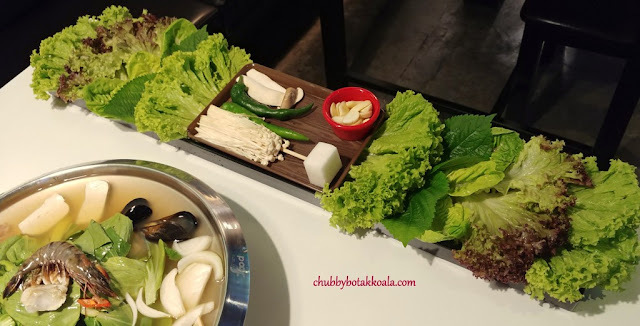 Overall, Palsaik Samgyupsal Korean BBQ is definitely one of the place to consider for Korean BBQ in Johor Bahru. Best part, the price is only a fraction compared to the similar Pork Belly Centric Korean BBQ in Singapore. Geonbae!! Cheers! !